This extensive database of Florida's AM, FM and TV stations was created by Donn Colee, Jr. during the years of research for his book Towers in the Sand: The History of Florida Broadcasting. These database files are archived in the Digital Collections of the University of Florida George A. Smathers Libraries. Colee believes this to be the only single-source document of its kind. It results from 80 years of Broadcasting Yearbook listings, many additional documents from the Library of American Broadcasting as well as other sources. The files are in the form of Microsoft Excel© spreadsheets and are easily downloaded and searchable by call letters, dates, locations, ownership, frequency/channel changes, etc. The spreadsheet has three tabs at the bottom of the sheet where you can select AM radio stations, FM radio stations and TV stations. In addition, JBA has prepared three separate PDF versions which YOU may view or print to 8½ x 14 in. paper. ← Access to the Excel spreadsheet database and the three PDF versions is available from the four icons on the left. 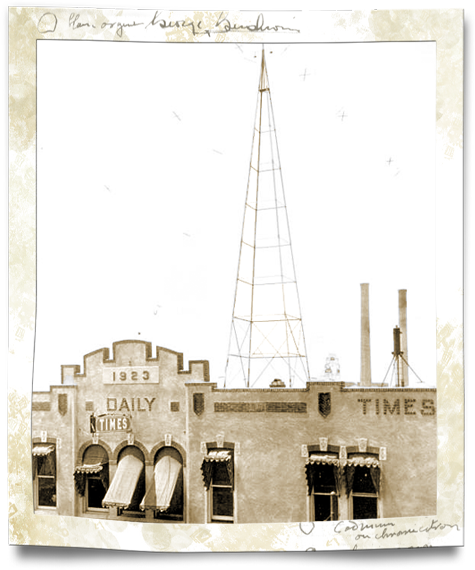 Do you have additional historical facts about specific broadcasting stations in Florida? Share what you know. Email Donn Colee. The Florida Broadcasting Database is copyright 2018. It is published with permission of the author.